Paintings on Raw Wood Grain Showing Raw, Real Emotion. Preserving Stories & Personality through Oil Paint Portraits. 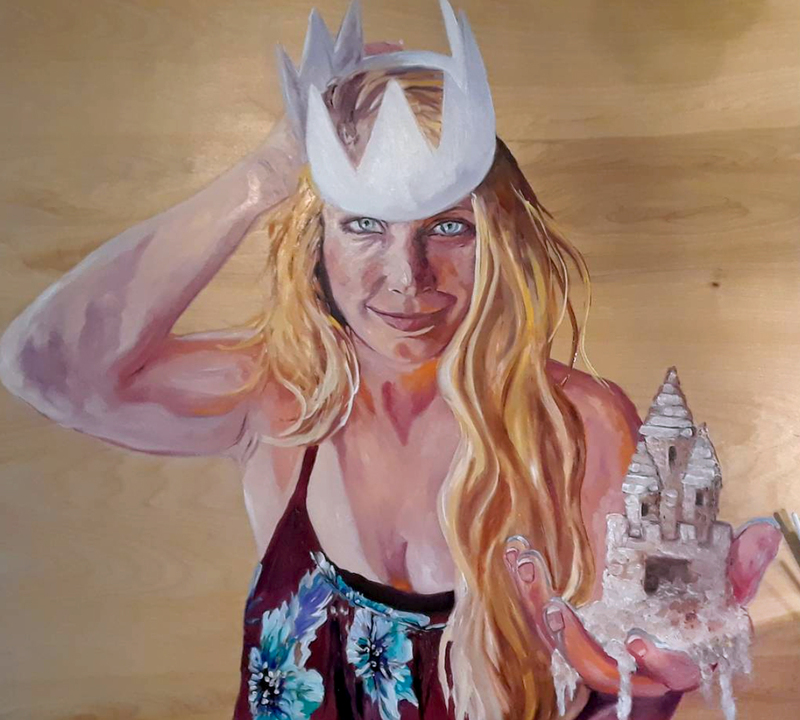 On the surface, the purpose of portraiture is to represent a person as they appear, but artists with lots of practice and special attention to detail can develop a knack for conveying deeper emotion, and that’s what first caught my eye about the work of Kristi Standley. One glance at her collection and you’ll notice that each piece must have a powerful backstory. She takes the time to read into her subjects and capture what they must be feeling in that moment. 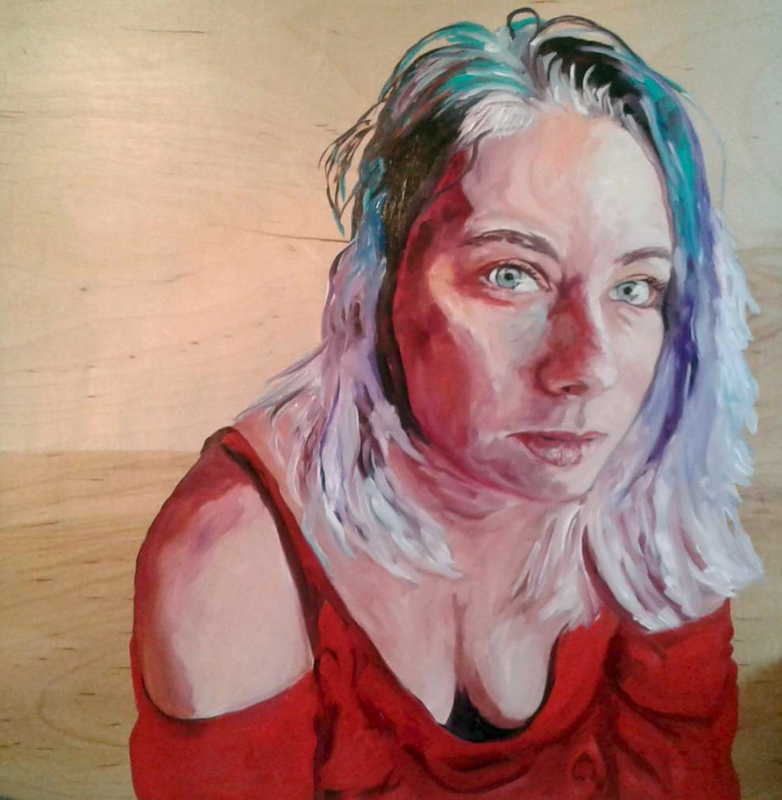 She then carefully paints every detail in oil on natural wood grain as her canvas. This raw emotion comes through the facial features and an occasional prop that helps set the scene. Beyond that, Kristi leaves the wood to help focus your attention. I personally think it adds to the raw quality as well with the beauty you can find in nature (both the wood grain and our human emotions). 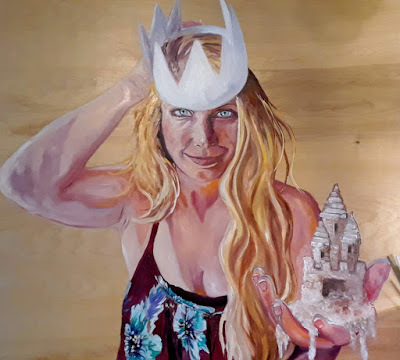 Kristi's style also invites you as the viewer to interpret the story and empathize with the emotion as you perceive it. I especially love her collection using just one element of a face like the eyes. You get to complete the portrait in your mind’s eye as you look into the feature and the way she depicts the feelings they're experiencing. The eyes never lie right? While practice and skill are a large part of Kristi’s success, I would argue that her day job has a wonderful influence on her art. As a sign language interpreter, Kristi spends a good bit of her time communicating with a world that can’t hear the sentiment we convey through tone. She instead has the show this emotion with her hands and facial features. As such, she has a unique appreciation for how much you can say without speaking in the traditional sense. I see this play out in her paintings, and it's stunning! See for yourself. I bet you'll walk away with a mixed bag of emotions and curiosity about the lives she's depicted, whether playful, smiling or struggling. Well done Kristi!